AND STILL AFLOAT AFTER ALMOST 2 YEARS. I'm honored to have been asked by Lucky and The Team to open our Centenary Top Ten. Let me first thank them profusely for the wonderful job all involved have done. And of course, everyone who turns up to nominate and vote each week. 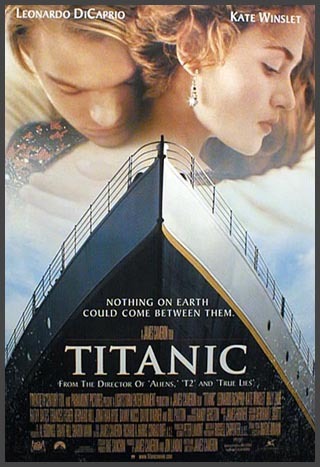 There wouldn't be a Top Ten without you. We also thank Carl for his support and for making the Top Ten a featured Forum on Songfacts. Also all of those innovative people who have come up with so many ideas for the many Threads under the Top Ten umbrella which certainly enhance the basic Top Ten. I'm pleasantly surprised that the Top Ten has reached this milestone. Who would have believed it would last this long when we first proposed the idea in March 2006 ? I think this quote by Lucky sums it all up. I can't say it any better ! "The Top Ten has been a continually running thread for 2 years now, nothing has ever been deleted from that forum, it is fully archived and documented. We have approximately 50 nominations weekly, give or take a few. The majority of participants are the same longstanding members of SF. What else represents the Songfactors choice in music better? Think about it, there will be 1000 songs represented on our list." Here's a Link to the Very First Top Ten..... There's some interesting reading. 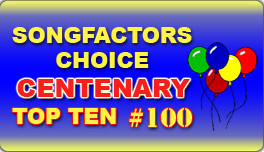 WELCOME TO THE SONGFACTORS' CHOICE CENTENARY TOP TEN #100! ALL MEMBERS OF SONGFACTS ARE MOST WELCOME TO PARTICIPATE. The greater the participation, the more diverse, and more representative our Top Ten is! * When nominations close, choose your favorite Ten songs in order of preference from the Final Nominations List and post them here. Points are allotted, 10 for your #1 song, 9 for #2, Etc. and our Top Ten is compiled from them. What could be simpler? Sorry for the delay. I couldn't get back into the Boards for 2+ hours. Tim, did you win the door prize for being first? My Way ~ Frank Sinatra (1969) ... Hey if Nancy is on the TT, well Frankie should be on it too, dang it all! Thanks Laurie. I thought I might have overdone it a bit. And Tim Lizard is first to nominate in TT100 Good on you Mate. Dang kid. I'm usually first and he beat me. But I can't be mad because he nominated Hot for Teacher. The video quality is lacking, but this purports to be Mr. Costello's first television performance. Nice job, Old fif'! Now, Let's get this party started!! Happy #100!! I don't know about anyone else, but this top ten thing has become quite a habit for me. I listen to radio, or a cd, or hear a song in passing in the store, or a snippet in a movie, and think "has this been done yet?" I even have a list in the car. Does anyone else do that? 100 tens, 1000 songs.... and I still do it, every week. I haven't got my nominations quite figured out yet for THIS week, though! OMG yes!....I do that too! I looked at my old Lista for the first time in a while today. Trouble is, when I come to nominate I always change my mind and put something I heard on the radio that morning. I might change my second nomination today yet. I used to think I was indecisive, but now I'm not so sure. See what you've done to us 55...it's madness I tell you...madness! Divine madness Laurie. Could we package it and sell it ? Remember when bluesboy had us doing 'Top 20 compilation CDs' of our nominations each ten x Tens. I reckon we'd have some best sellers - except the Copyrights might cost a fortune. Yep....and it's so true about the car too.....when I hear a tune that I like when I'm going somewhere....I have to write it down right away...or else I'll forget to put it on the list! You mean you have been burning and selling cds? Writing in the car... ...and you and Lucky probably drive on the right hand side of the road too ! Hello 55! Nice to have you back for this 100th Top Ten and hope you'll stay awhile! WOW, the 100th Top Ten !! Onya 55! - Congrats ! good intro too. Judo!! Great to see you back! OLD 55 and Judo! Great to see you both here!